Public wireless networks are becoming an increasingly common and a much-needed amenity in Brazil, especially in larger cities like Sao Paulo. As the fifth largest nation in the world, Brazil is classified as a developing country and ranks as the 8th economy of the world. Brazil’s development is mostly due to its embrace of new technologies and affordable access to modern services, like Wi-Fi. Public Wireless Networks are currently being deployed throughout the country in cafes, restaurants, airports and large public spaces. 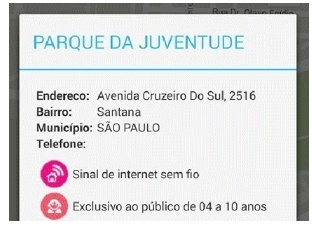 In order to expand internet coverage in larger cities like Sao Paulo, the government plans to install 300 Wi-Fi access points by the end of 2016. The demand for Wi-Fi is increasing at a fast rate and so is the deployment of public Wi-Fi networks. To increase the deployment of public wireless networks and offer the population a faster and more stable Wi-Fi connection, the Brazilian state of Sao Paulo already operates the AcessaSP system. So far, Wi-Fi networks have been deployed in 174 of the 850 operational sites and the networks have served approximately 1,6 million users. Presently, Tanaza Authorized Partner, Tacira technologies, is using Tanaza’s Wi-Fi cloud management capabilities and top-level security to increase the number of operational sites offering smart digital services in public spaces throughout Brazil. When managing a public wireless network, security, reliability and the ability to scale it, if and when is needed based on Wi-Fi demand, is key to making the management of a network easy.